When you’re trying to find high-quality catering for your corporate team, you want to feel confident in the company that you’re trusting. Working with DiAntonio’s, we pride ourselves that every bit of service you receive is of the highest quality, and the food will be even better. The DiAntonio’s Corporate Catering department offers our corporate clients seamless service in all areas of your catering needs. From food preparation to transportation and service, we specialize in professionalism. We proudly practice CCSR: Corporate Catering Social Responsibility. This means providing the freshest locally grown ingredients for our customers sourced from socially responsible, local farmers and vendors. At DiAntonio’s, our catering professionals understand that the main attraction of any corporate catering or office catering event that you are planning is the business. We are committed to bringing you efficient service, with hot food delivered exactly on time, with properly labeled dishes to avoid any dietary mix-ups. Whether you choose table service or double buffet line, we ensure your guests will be served in a timely manner. 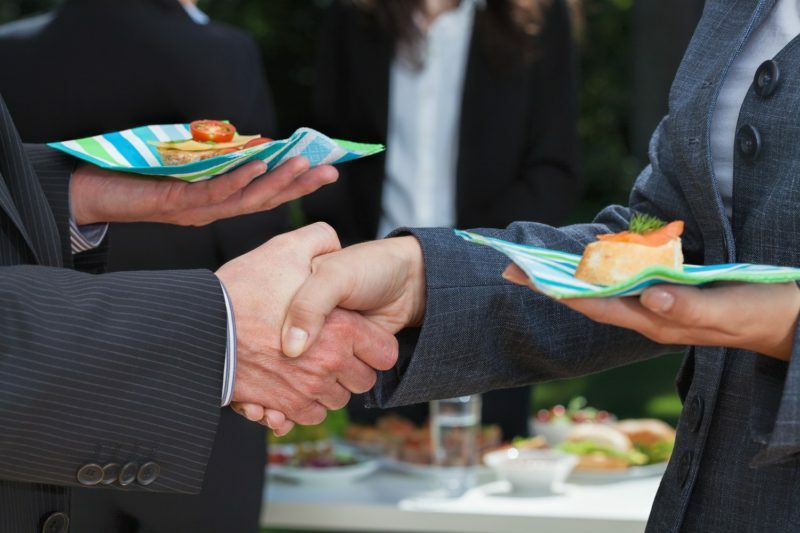 Our Catering Service Will Accent Your Event and Support the Business you are Conducting. Whether you are planning an upscale and elaborate corporate event or a smaller scale business dinner, DiAntonio’s is dedicated to helping you create the perfect menu. We offer specialty and custom menus for breakfast, lunch, dinner or cocktail hour hors d’oeuvres. Choose from hot or cold options, and enjoy the flavorful creations from our personal chef team.